The following is an excerpt from the introduction of the book Life as Sport. It’s your big moment. You have an important presentation to make. You’re getting ready for a big date. Or you have a critical parenting decision to make. You need to be at your best, and you’re hoping your best abilities—and judgment—will be there. There’s nothing wrong with hoping to do well. But hoping is not a strategy. The most successful elite athletes have figured out that wishing and hoping aren’t going to separate them from the rest of the pack. They follow a distinct philosophy and set of learnable mental skills that let them prepare more effectively and perform with more focus and freedom. In Life as Sport you will learn that philosophy and the tools to implement it. You’ll learn how to expect success in your life, not just hope for it. Over the course of a decade, as a sport psychologist for professional teams and world-class athletes, I’ve been involved in plenty of casual conversations with friends and acquaintances who have a very natural curiosity about the work I do—both from my perspective as a doctor and the athlete’s perspective as a competitor. I can certainly understand the fascination people have with elite performers. I can’t imagine a more interesting profession than working with and getting to know world-class athletes and top-level financial and entrepreneurial executives on a day-to-day basis as a performance coach. I’m truly fortunate to have the job I have. Still, many of those casual conversations got to be pretty uncomfortable for me. I felt my own internal pressure to come up with a way to simply and quickly explain the world of performance psychology and share some interesting stories from my career—but without violating the sacred confidentiality promise that governs these professional relationships. Over time I got better and better at explaining this world of mental coaching—and more importantly I was able to clarify both the specifics of what I do for elite performers and why that work is so enjoyable for me. The theories and techniques in this book are the result. Life as Sport is the product of thousands of hours of conversations with athletes from various teams and sports: power forwards, tennis phenoms, power-hitting outfielders, raw minor league prospects, battle-scarred linebackers, journeyman utility players, fading superstar pitchers, hedge fund managers, precocious entrepreneurs, A-list actors, and dozens of other elite achievers in sports business and performing arts. 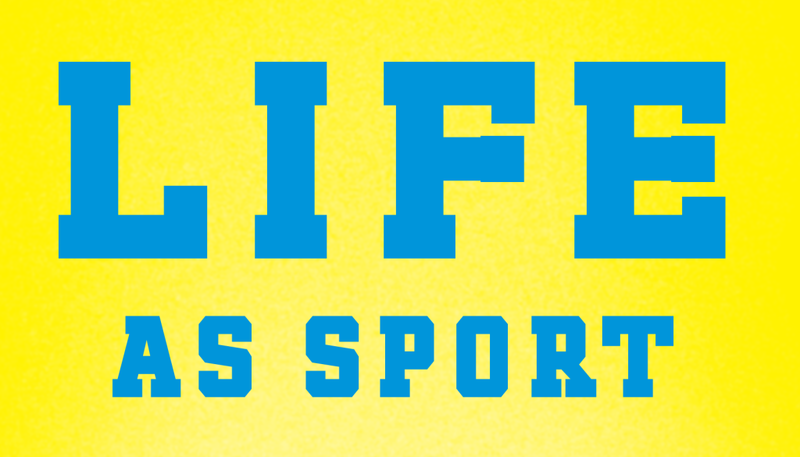 Read the rest of the introduction to Life as Sport by downloading the pdf.